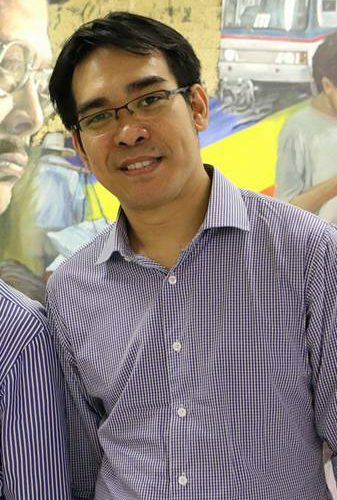 Michael is a full time Painter was born June 1980 in Quezon City, Manila. He studied Fine Arts Major in Painting from the University of the Philippines. He apprenticed under the Maestro Gig de pio. He Has mounted a number of solo and group exhibits in the country and abroad.He is a member of Filipino Portrait Artist Group.His paintings mostly featuring women as a embodiments of grace,elegance and humanity are improvisations of the Modernist and Classicist idioms,distinctly characterized by the use of goldleaf backgrounds symbolizes divine and the possession of perfection.He used the long shadow cast by the late afternoon light naturally to reveal form in a unique way.